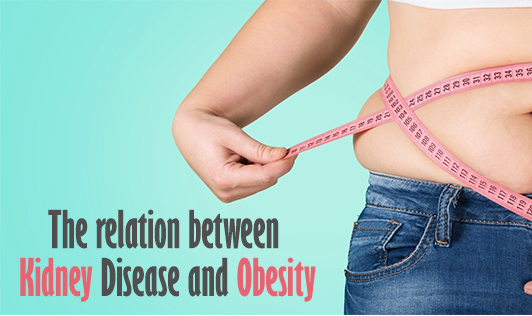 Obesity is a potent risk factor for the development of kidney disease. It increases the risk of developing major risk factors of Chronic Kidney Disease (CKD), like diabetes and hypertension, and it has a direct impact on the development of CKD and end stage renal disease (ESRD): in individuals affected by obesity, the kidneys have to work harder, filtering more blood than normal (hyper filtration) to meet the metabolic demands of the increased body weight. The increase in function can damage the kidney and raise the risk of developing CKD in the long-term. Kidney disease is more likely to develop in obese people including in those with diabetes and hypertension. By 2025, obesity will affect 18% of men and over 21% of women worldwide, and that severe obesity will affect 6% of all men and 9% of all women around the world. In some nations, obesity is already present in more than one-third of the adult population and contributes significantly to overall poor health and high annual medical costs. In the general population, obesity increases the risk of death and contributes to many other diseases such as heart disease, diabetes, hypertension, high cholesterol, obstructive sleep apnea, fatty liver, gall bladder disease, osteoarthritis, various cancers, mental disorders, and poor quality of life. We all know that carrying around extra body fat isn’t good for us. But you may not realize that losing weight can help prevent kidney disease in otherwise-healthy people. Trimming down might also slow disease progression in people already diagnosed with chronic kidney. Obesity and being overweight are risk factors for chronic kidney disease and are associated with the progression of the disease.Metabolic syndrome is also a risk factor. People with metabolic syndrome are 20 to 30 percent more likely to develop kidney disease than people without it. Metabolic syndrome is a cluster of factors that also increase your risk for heart disease and diabetes. It’s important to note that even if your medication does a good job controlling your blood sugar, blood pressure or cholesterol levels, you are still at an increased risk if you are obese or overweight. In people who already have chronic kidney disease, having metabolic syndrome increases the chances that their condition will progress to end-stage renal disease. People with end-stage renal disease must be treated with dialysis or a kidney transplant. Start by getting to a healthy body weight. This can reduce your risk of developing diabetes and high blood pressure, which in turn, will lower your risk for developing kidney disease. But if you know you have kidney disease, it’s especially important not to start a weight loss program without talking to your doctor. Some popular diets that are high in protein can be harmful. They can even put your kidneys at risk. High-protein, low-carb diets can harm the kidneys in two ways. First, a diet too high in protein puts added strain on your kidneys. Second, when your body is burning fat rather than glucose from carbohydrates, you run the risk of going into ketosis, a metabolic state that can cause kidney damage. Be sure to talk to your doctor to develop a weight loss plan that meets your nutritional needs and protects your health.